Shipping freight doesn’t have to be complicated or time consuming. If you are shipping something over 150 pounds you are going to need a freight shipping company. Unlike small package shipping in which you have only a few options, there are thousands of trucking companies out there who ship LTL (Less Than Truckload) and full truckload freight. 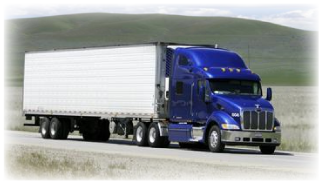 As such, freight shipping prices do vary greatly from trucking company to trucking company. Often the freight shipping prices for the same shipment can vary by hundreds or even thousands of dollars. So how do you find the best price for your shipment while resting assured that the company you choose has a reputation for quality, on-time freight delivery? That’s were we come in. Shipping Sidekick works with some of the biggest names in the freight shipping and logistics business to get you the best possible freight quotes online. Just fill out the short form above for a fast, free freight shipping quote. There is no obligation however once you see our prices you’ll see that we do offer some of the cheapest freight shipping quotes on the web. We work with all kinds of freight including pallets, crates, barrels, boxes and bundles. We can ship over sized items that require a flatbed including vehicles, boats, cranes, airplanes…..really you name it. Sky’s the limit. If you need it hauled we can find you a carrier and get you some of the best freight shipping prices around. So what are you waiting for? Fill out our short form above to get freight shipping prices for your shipment. Save up to 60% on shipping almost anything to almost anywhere! Visit the ShipOption Homepage and see for yourself.